How Prevalent Are Study Drugs At Universities? Everyone is looking for that competitive advantage whether its in sports or in the classroom. Many claim to have found the answer for improving their grades, some choose to acquire this drug legally while others turn to the black market to purchase from dealers. 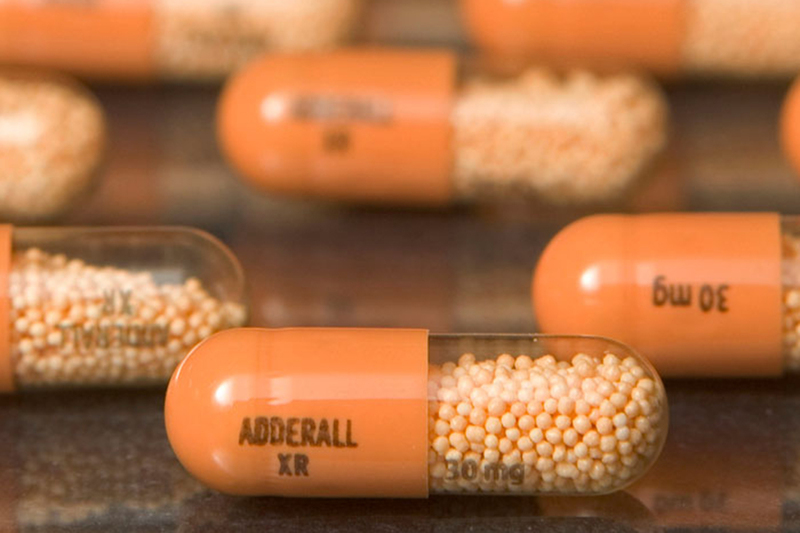 The drug in question goes by the name adderall and is generally prescribed to patients who suffer from attention deficit hyperactivity disorder. 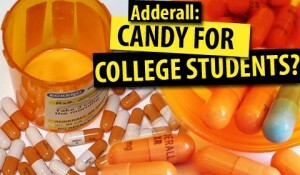 Adderall is only one of the many drugs that fall into the “study drug” category others such as Concerta, Ritalin, and Vyvanse are all abused in the same way adderall is acording to Inquisitr. ADHD is usually diagnosed at a young age and causes attention problems such as, not being able to focus on a singe task without being distracted, daydreaming, restlessness and fidgeting. This disorder can cause ones life to become very chaotic, especially when it comes to learning. For someone who suffers from ADHD, adderall helps them focus like a normal person would be able to. On the other hand people who do not suffer from ADHD but do decide to take adderall have reported being able to function at a heightened level. It has been reported that its easier to buy and abused more then marijuana at most universities. The Null hypothesis is that taking ADHD medications without having been diagnosed ADHA will improve your performance in school. The alternative hypothesis is that taking ADHD medications without having been diagnosed ADHD will not affect or lower your performance in school. Alan DeSantis, tracks study drug usage at the University of Kentucky where he is a professor and researcher. His research has found 30% of students have used adderall or a drug similar to it illegally at the university. It only increases as students become older, with 50% off all seniors and juniors taking part in the use of stimulants. The number is only topped by those in Greek life, who have reported 80% have tried the drug. Students who were once getting C’s in class are now getting B’s and A’s due to the drugs. Many consider this an unfair advantage and would classify it as cheating. Andrew Adesman who specializes in developmental and behavioral pediatrics decided to research colleges that were very selective with who they admitted. He found that one out of every five Ivy League students have taken ADHD medication without a valid prescription. Of that same group 33% did not think of it as cheating. From one particular Ivy League school he collected data using anonymous online surveys, polling 616 students of all classes except freshman. The results showed 69% used the drugs to study and 27% to take test. The amount of students that did not think they were cheating was 46%, with 19% not quite sure if they would classify it as such. These students also assumed that it was safe to consume prescription stimulants due to it being socially acceptable in current college culture. 815 Physicians specializing in ADHD were asked about the topic, and 59% believed their patients were distributing their medication to others. Many of them don’t know how to handle the situation due to lack of training on the topic. Adesman’s research is the first to show that Ivy League students are at higher risk of abusing these drugs when compared to students at other schools. Andrew Adesman sample size of Ivy League students could be perceived as small when comparing the number to all the students who attend Ivy League schools. Which may be due to students not wanting to participate due to use of these drugs, even though it was anonymous it was online which I would view as a risk. But these are 616 students from eight different institutions which I would say is a fair sample size. Amelia Arria works at the University of Maryland School of Public Health as a director blames the media for misinforming students. Such as in this study where 142 newspaper articles were reviewed and 95% talked about the benefits of using prescription medication that was not prescribed to you and only 58% mentioned the risk that can come with taking these medications. Students are very open about the topic with 213,633 tweets mentioning adderall between November 2011 and May 2012. These were collected from twitter users on or around college campuses in the southern and northeast parts of the US. A peak in tweets was observed during end of the end of the semester when final exams were approaching. This study brings up an cofounding variable, blaming the abuse due to the media, which could be considered a valid claim due to pharmaceutical companies having marketing teams and media influence. Adderall is being traded and sold on every campus the in the united states, at this moment we don’t have a solution to this epidemic. Students will do whatever it takes to get the grade they desire. Through these three studies I have concluded that the null hypothesis taking ADHD medications without having been diagnosed with ADHA will improve your performance in school was correct. This entry was posted in Uncategorized on December 2, 2016 by Brian A Vargas. I found this post very interesting because I never thought the numbers of college students taking these drugs would be so high. It is also very alarming that only 58% of articles mentioned the risk of taking these types of stimulants. Another article from the Huffington Post does talk about the risks of overdose, worsening cognitive problems, and students developing a severe addiction. It says we need to bring more awareness since so many do not realize how dangerous these drugs are. Great post! I was shocked when I arrived on this campus last fall to see how common it was to not only use Adderall/Vyvanse/Ritalin recreationally, but how common it was to have a prescription as well. As it turns out, I was diagnosed with ADHD over the summer and now have a Vyvanse prescription. Your claim however, of C students now getting As and Bs is not entirely accurate. For me personally, my exam grades did not drastically go up. I simply just became more focused while completing my homework and created more thorough study practices. This did probably contribute to a slight increase in GPA, but nothing as drastic as C to A, or even C to B. According to my psychiatrist, these “study drugs” are not GPA enhancers. It is more expected than a student with ADHD can jump from a B- student to a B+ student once medicated. You are correct if you actually have ADHD you will not see a major jump. The meds will just allow you to concentrate like you should or how people who don’t suffer from ADHD do.